Real Estate – Skinner Law Firm, P.C. There are many reasons to hire Skinner Law Firm, P.C. for your real estate needs. 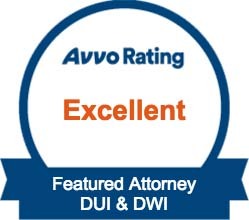 You do not necessarily have to be involved with any litigation to benefit from a qualified attorney’s counsel and assistance in a variety of matters including a real estate closing where an attorney can protect you from costly mistakes, errors in the documents, errors in the figures and other problems that could lead to litigation or other expensive legal action. Skinner Law Firm, P.C. also represents and assist business entities in a variety of commercial real estate issues including real estate investment opportunities, acquisitions and sales, real estate construction and development, farm and ranch acquisitions and sales, leasing, landlord/tenant matters, land use, zoning, eminent domain, and foreclosures, and other commercial real estate matters. Real estate transactions and disputes involve many laws, which vary greatly from state to state. If you are buying or selling real estate or are involved in a dispute regarding real estate, it is in your best interest to get in touch with an experienced attorney to ensure that your rights are protected. Skinner Law Firm, P.C. is well qualified to meet all of your real estate needs. If you have a matter that you want handled efficiently and effectively, look no further. Click here to contact us today! We will put our experience and dedication to work for you.